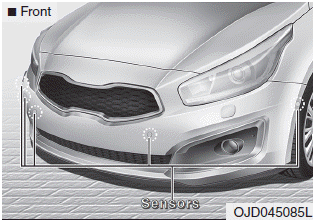 The parking assist system assists the driver during movement of the vehicle by chiming or displaying the area an obstacle is detected on the instrument cluster if any object is sensed within the distance of 100 cm (39.4 in.) in front and 120 cm (47 in.) behind the vehicle. This system is a supplemental system and it is not intended to nor does it replace the need for extreme care and attention of the driver. 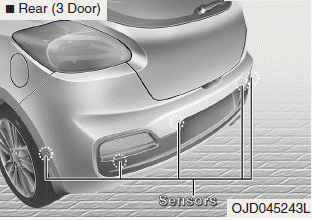 The sensing range and objects detectable by the sensors are limited. Whenever moving pay as much attention to what is in front and behind of you as you would in a vehicle without a parking assist system. 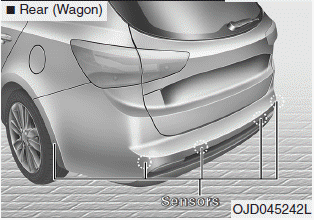 The parking assist system should only be considered as a supplementary function. The driver must check the front and rear view. 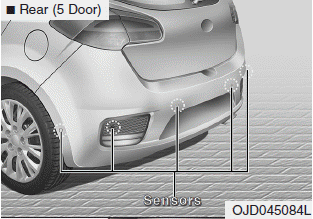 The operational function of the parking assist system can be affected by many factors and conditions of the surroundings, so the responsibility rests always with the driver.